Big things have happened since I last interviewed Style Nine to Five founder Christie Lohr 3 years ago. 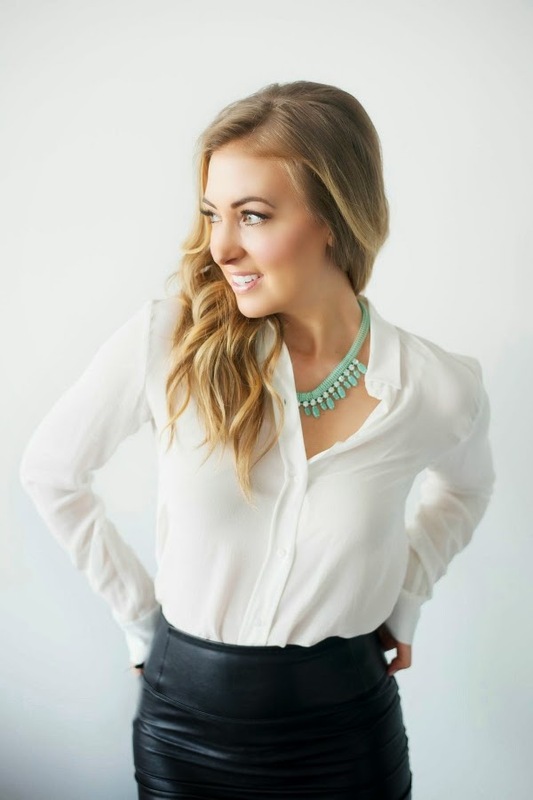 Her Canadian job search site has steadily cornered the market when it comes to connecting fashion industry job seekers with interested employers, and she's even launched a beauty-industry-focused offshoot. And just recently, Style Nine to Five has announced its expansion to New York! I caught up with Christie to get her take on the challenges of the Canadian vs. US market, the value of internships, and how to dress for different types of interviews. It's been 3 years since our last interview. How has Style Nine to Five evolved since then? Our client list has more than doubled and includes some of the world's most renowned companies. We're featuring a wider variety of jobs and companies on Style Nine to Five. Our writing team has expanded bringing you career advice and of course, the latest trends in fashion. We're not just a job board, we believe strongly in incredible customer service so we're always finding new ways to do so. We've adapted our business to online trends, such as Instagram, and continuously developing ways to make it work for Style Nine to Five. Congratulations on the expansion to New York! This is a huge move. New York is the fashion capital of North America, so it makes sense that Style Nine to Five would expand there. But were there other reasons? It was the obvious next step for me. When I first started Style Nine to Five 4 years ago, I always had plans to expand. As our customer base was growing, with many of them having U.S. locations, the need presented itself. What are some of the challenges you faced expanding your site into the New York market? Exposure and attracting the right candidates! It can feel like a needle in a haystack in such a fashion-saturated market. The Canadian market is one thing, but tackling the American market requires a slight shift in gears when it comes to handling Style Nine to Five's promotion and operations. Do you think fashion industry job seekers in the US face a different set of challenges than their Canadian counterparts? Yes, you're one in a million in NYC. More jobs in NYC means more competition to get the job. In NYC, some jobs require you have at least 3 internships under your belt before you apply. I know in recent years, there's been a lot of controversy over the legality of unpaid internships. What's your stance on this issue, and what's your number one tip for job seekers hoping to turn an unpaid internship into a full-time gig? Yes, this is a grey area. Everyone has their own opinions on this topic. Personally, I'm a fan of internships, paid or not, as I've done 3 in my career journey and wouldn't have had the experiences or made the valuable connections I have if I didn't intern. It opens doors to opportunities that may be harder to reach for job seekers. How do you turn an internship into a full time job? Bring value to the company, contribute to its sales, go above and beyond. Don't just do the bare minimum. Make the employer miss your contributions if you ever left. …editorial? Include at least one coveted item of the season to show your fashion knowledge. Look chic, such as a black and white ensemble. …retail? Wear your favourite outfit that you'd wear out to dinner. A fun blazer over a nice top, dark pants or jeans with pumps or ankle boots. …design? Dress similar to the style of the design company you're applying to. I'm a fan of the printed pant or high-waisted pencil skirt and blouse. For job postings, career tips, and other resources, check out Style Nine to Five and Beauty Nine to Five.